The Edwin E. Aubrey Papers are organized into the following seven series: 1. Correspondence and other general files, 1923-1956; 2. Publications, 1923-1955; 3. Addresses, talks, and lectures, 1938-1956; 4. Manuscripts and notes, 1919-1956; 5. Course syllabi and teaching material, 1921-1949; 6. Reference files, photographs, and artifacts, 1915-1935; 7. Bibliographical index cards. Edwin Ewart Aubrey was born in Glasgow, Scotland, in 1896. He came to the United States in 1913 and became a naturalized citizen in 1918. He served with the U. S. Ambulance Service in France and Italy during World War I.
Aubrey earned his Bachelor of Philosophy degree from Bucknell University in 1919. His Master of Arts (1921), Bachelor of Divinity (1922), and Doctor of Philosophy (1926) were all received from the University of Chicago. Bucknell awarded him the honorary degree of Doctor of Divinity in 1939. Aubrey taught at Carleton College, Northfield, Minnesota, in 1922-1923; Miami University, Oxford, Ohio, in 1923-1926; and Vassar College, in 1926-1929. From 1929 to 1944, he served as professor of Christian theology and ethics at the University of Chicago and from 1933 to 1944 was the chairman of the theological field. He became President of Crozer Theological Seminary, Chester, Pennsylvania, in 1944. He remained at Crozer until 1949, when he established the Department of Religious Thought at the University of Pennsylvania. Aubrey finished out his career at the University as professor and chairman of the department until his death in 1956. From 1940 to 1953, Aubrey held a series of guest or term appointments as visiting lecturer or visiting professor at Vanderbilt University, California Institute of Technology, Union Theological Seminary of New York City, Evangelical and Reformed (German Reformed) Seminary (Lancaster, Pennsylvania), Swarthmore College, Harvard University, Beloit College (Beloit, Wisconsin), and Colgate-Rochester Divinity School. Aubrey authored several books, including Religion and the Next Generation (1931), Present Theological Tendencies (1936), Living the Christian Faith (1939), Man’s Search for Himself (1940), The Religious Element in Higher Education (1952), and Secularism a Myth (1954). Among the books he co-authored are Religion in Higher Education (1931), The Process of Religion (1933), and Church and Community. A nationally known theologian, Aubrey held the office of Secretary and Vice President of the American Theological Society from 1945 to 1956. 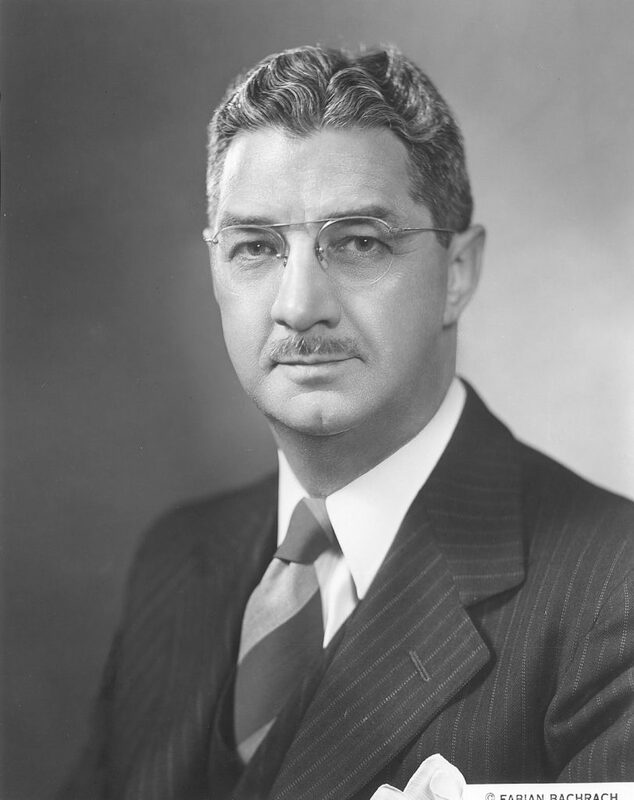 In addition, he provided leadership in the following capacities: as President of the University of Chicago Settlement from 1941 to 1944; as Chairman of the Department of International Justice and Good Will of the Federal Council of Churches from 1944 to 1948; as Treasurer of the American Association of Theological Schools from 1946 to 1948; as Chairman of the National Program Commission of Student YMCA and YWCA from 1950 to 1955; and as Chairman of the Editorial Board of Haddam House Publications from 1954 to 1955. The collection reflects Edwin E. Aubrey’s fruitful career of research, teaching, and publication in the field of theology. The Correspondence series includes five folders of correspondence, one folder of Aubrey’s curriculum vitae, two folders concerning his experiences with Chicago Ecumenical Discussion Group and American Association of Theological Schools respectively, and one folder concerning his appointment at Penn. The Publication series contains booklets, articles, and reprints of his works from 1923 to 1955. The Addresses, talks, and lectures series consists of his notes for presentations on different occasions from 1938 to 1956. Book reviews, papers (including papers written when a student), unpublished articles, research notes, and bibliographical notes comprise the manuscripts and notes series. The Course syllabi and teaching material series consists mainly of syllabi and other material Aubrey used for courses he taught on various subjects such as biblical literature, religion, divinity, Christian theology, history, philosophy, and social psychology. The series covers his teaching experiences with Vassar College, Swarthmore College, University of Chicago, Crozer Theological Seminary, and the University of Pennsylvania. The Reference, photographs, and artifacts series is largely composed of articles and other material Aubrey collected in teaching and research, news clippings, three of his portrait photographs, and a glassplate negative of his portrait. The Bibliographical index cards series records detailed bibliographical notes Aubrey prepared for teaching and research purposes, and includes cards of subject; cards of authors; cards for teaching courses; cards for a book on religious education in American colleges; and cards indexing Aubrey’s own publications, presentations, and interesting topics. American Association of Theological Schools. Federal Council of Churches (U.S.). Department of International Justice and Good Will.